Dr. Seuss inspired treats are here… Dr. Seuss is always welcome in our home. We have read all the books, seen many of the movies and spent lots of time acting out Green Eggs and Ham at dinner time… in our own little way. The kids love it when I get creative with their food! I mean, LOVE it. In fact, it’s their favorite when I make creative treats inspired by some of our favorite movies or books. So, when I showed them some of these Dr. Seuss inspired treats, they were quite excited, and so was I! These Dr. Seuss inspired treats are great to spruce up your little’s lunch box or just as a fun after school snack. Your kids will thank you.. if you don’t eat them all first. 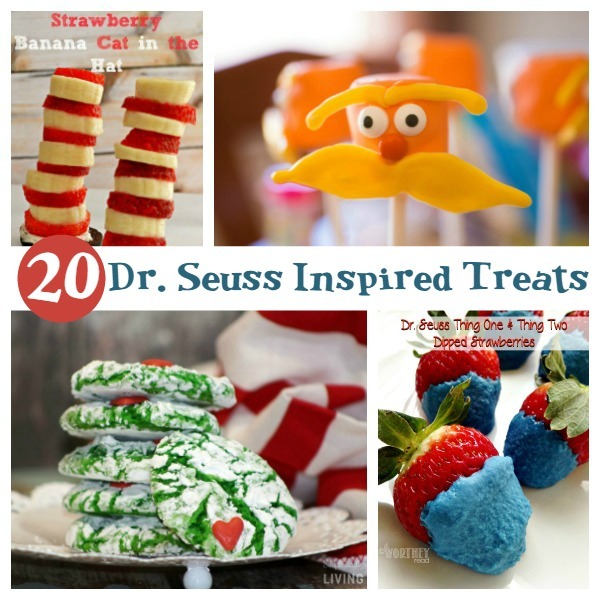 Have you made any of these Dr. Seuss inspired treats?